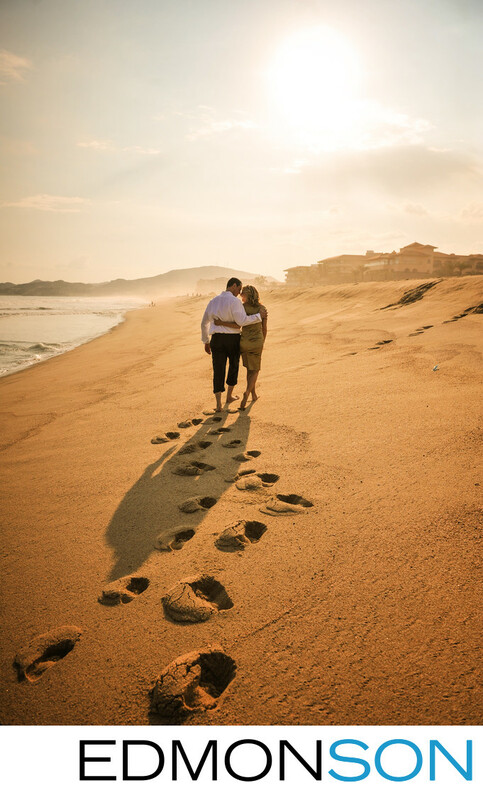 Bride and groom take a stroll down beach after their wedding in Playa Del Carmen, Mexico. Location: Playa Del Carmen, Mexico. 1/8000; f/3.5; ISO 200; 24.0 mm.